They're the Vinimates you need and deserve! From Christopher Nolan's Dark Knight Trilogy comes this DC Comics Batman Dark Knight Batman Vinimate Vinyl Figure! 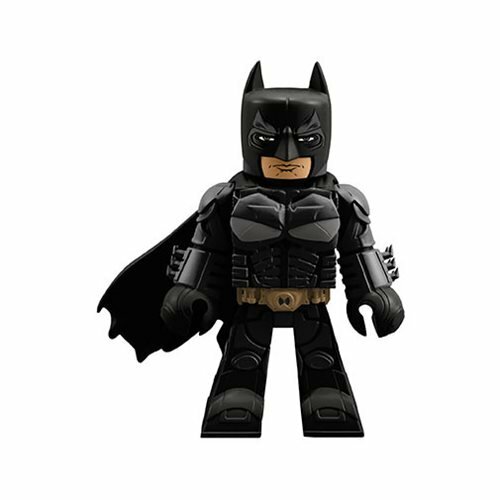 The DC Comics Batman Dark Knight Batman Vinimate Vinyl Figure is a 4-inch vinyl figure is sculpted in the Minimates block-figure style and strikes a pose straight from the movie. Packaged in a full-color window box.